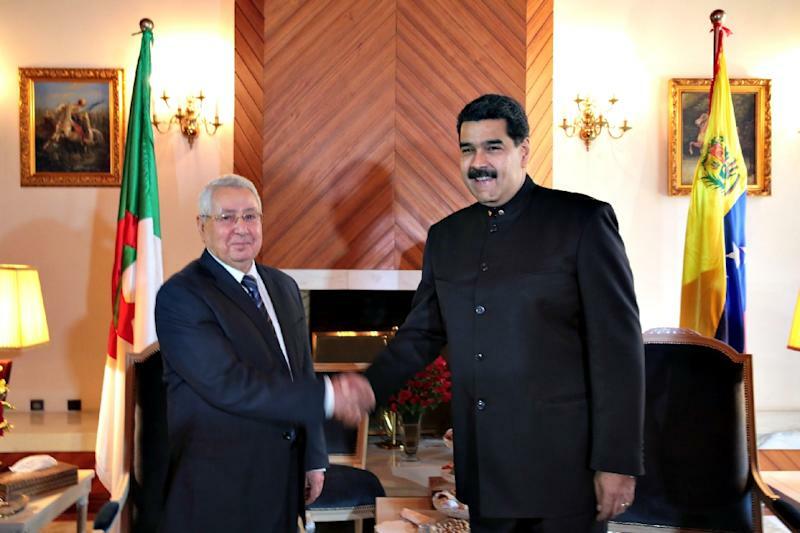 Venezuelan President Nicolas Maduro paid a visit to Algeria this week and met with Algerian Senate speaker Abdelkader Bensalah to discuss oil policies. The Algerian presidency said Maduro and his hosts were to review the situation on world oil markets. APS, Algeria’s official news agency, reported that the Algerian Prime Minister Ahmed Ouyahia and Energy Minister Mustapha Guitouni were also at the meeting. The Venezuelan presidency said the talks covered a 2016 OPEC deal to cut oil production in a bid to boost low crude prices. Following the meeting, Maduro said there was “a climate favorable to the policy of a fair price for black gold”. It said oil sector cooperation between Algiers and Caracas was also on the agenda. Last week Maduro revealed that Venezuela planned to “start selling oil, gas and all other products that Venezuela sells with new currencies, including the Chinese yuan, the Japanese yen, the Russian ruble, the Indian rupee among others.